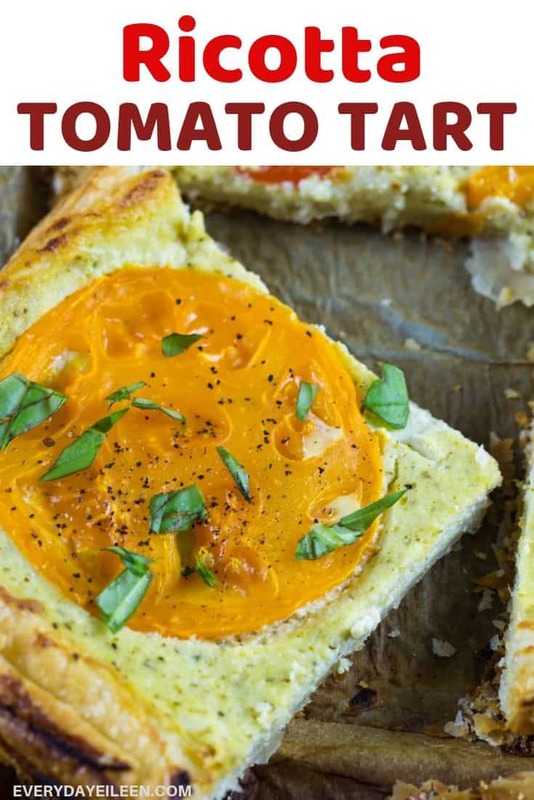 Ricotta Tomato Tart is such a delicious tart! The tart is filled with a fresh ricotta cream and topped with heirloom tomatoes! 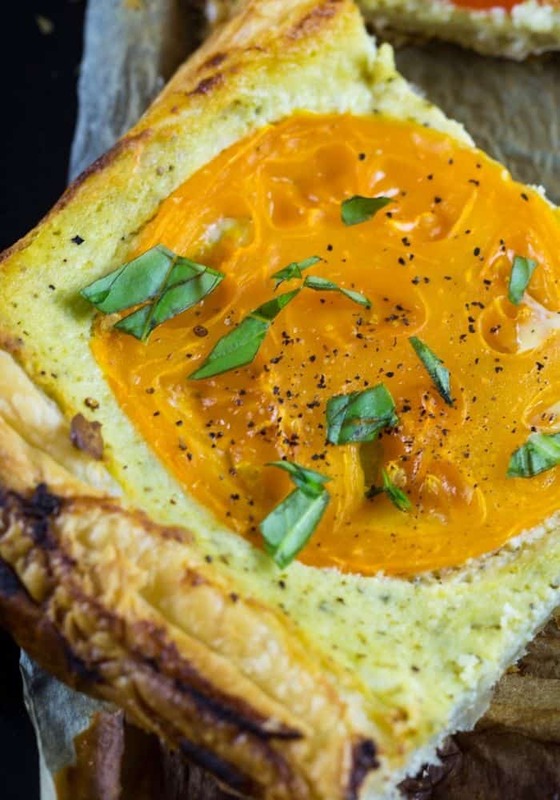 Make this for your Easter brunch fora savory treat! This Tomato Tart is a fantastic close-out to Easter Brunch Week! It is really easy to put together and tastes so darn good! using heirloom tomatoes is a great way to welcome Spring. 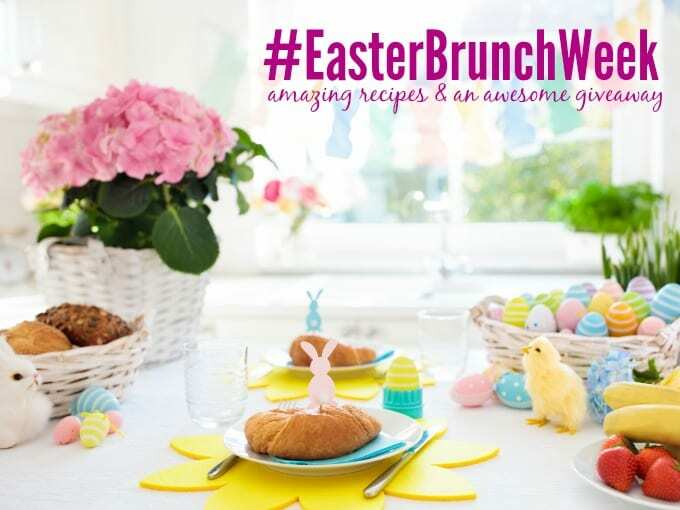 Bring along to your Easter brunch and your going to want to make two! This goes fast! I have to tell you all I have not made a lot of tarts! I love when I eat them! When my blogger friends post them I love them and kept saying I need to make one! That has changed, this Tomato Tart has started me going! My family went nuts over the first one! I normally change ingredients up a few times when experimenting! The family wanted no changes to the recipe! I am also using my Homemade Basil Pesto mixed into the Ricotta mixture. If you haven’t made my pesto, you are in for a treat! The pesto adds a great level of flavor to the pesto! I have now made this a few times and always so delicious! If you have any left, perfect for a light lunch or dinner too! What are the best tomatoes to use for a good Tomato Tart? Use a variety of tomatoes for a unique topping! I used heirloom yellow and red. Last week I had “ugly tomatoes” from the farmers market and they made a great tomato topping. You can use cherry tomatoes, whatever you can find works! 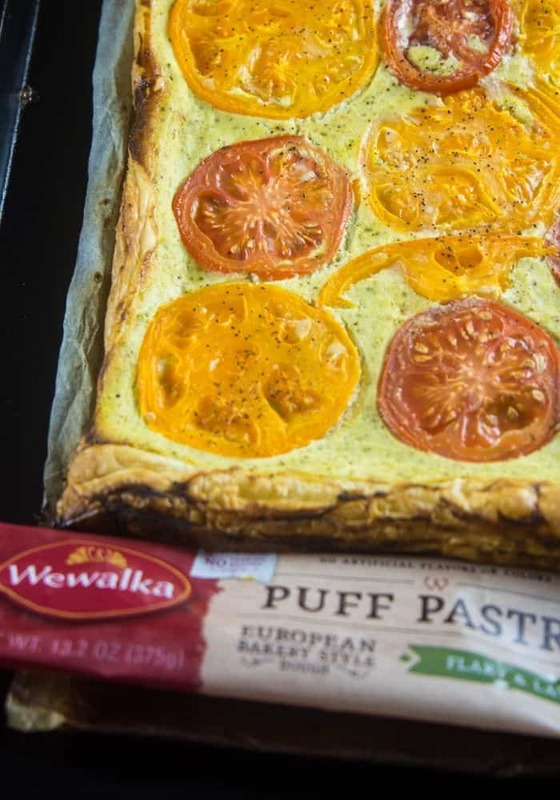 What can I serve with Tomato Tart? Can the Tomato Tart be made ahead? You can make the tart ahead but it is really easy to put together. I would suggest not making a day ahead. Morning of is better. The Tart is using low-fat Ricotta Cheese,can full-fat Ricotta Cheese be used in the recipe? Absolutely. I use low-fat cheese whenever possible to save calories. Full fat Ricotta Cheese can also be used. 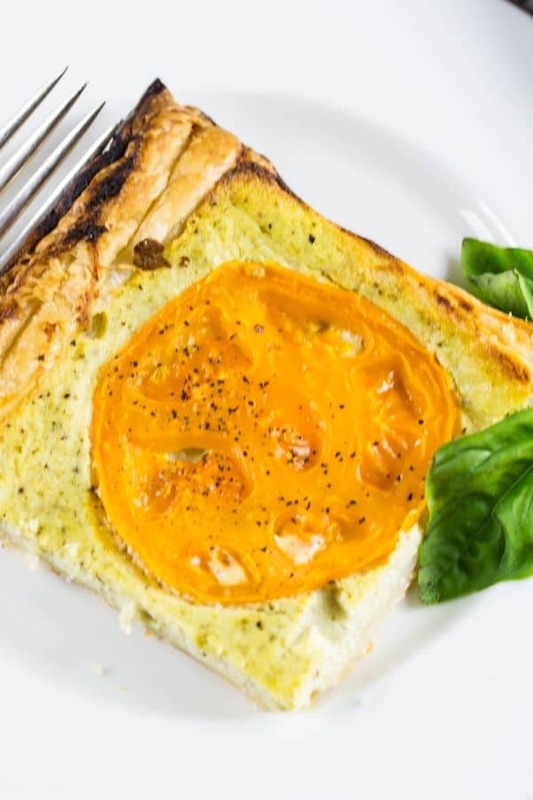 A delicious light Ricotta Tomato Tart! Filled with a Ricotta Cream with a homemade Basil Pesto! 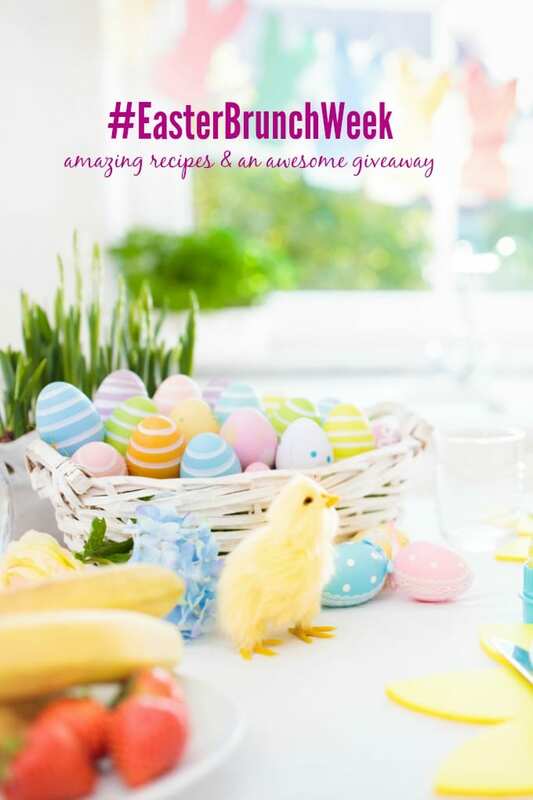 Perfect for an Easter Brunch, Mother's Day, light lunch or dinner! Roll out the pastry puff on a baking sheet. Fold in the edge in around the puff pastry about 1/2 inch. This forms the edge of the tart. In a small bowl, combine ricotta cheese, egg, basil pesto, onion powder,garlic powder, salt, and pepper. Use a pastry brush to brush the rim of the pastry with the egg wash.
Bake for about 20-25 minutes. Edges should be brown and center cooked through. Slice and serve. In a small bowl, whisk the eggs with a hint of salt. Set aside till ready to use. Note 1: Use your favorite tomatoes. Yellow and Red heirlooms are used for this recipe. Note 2: Full fat ricotta cheese can be used.